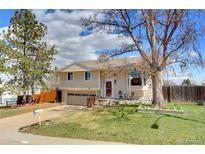 Below you can view all the homes for sale in the Parkway Estates subdivision located in Arvada Colorado. Listings in Parkway Estates are updated daily from data we receive from the Denver multiple listing service. To learn more about any of these homes or to receive custom notifications when a new property is listed for sale in Parkway Estates, give us a call at 720-580-6756. Covered front porch for relaxing... welcome home! MLS#1532036. Keller Williams Integrity Real Estate LLC. There is an oversized garage with plenty of storage space as well as a shed and hot tub in the back yard! MLS#6927095. Kentwood Real Estate City Properties. This home is a must see. MLS#9067787. RE/MAX ALLIANCE. Simply move in and enjoy all this home has to offer with the large yard and light filled rooms. MLS#1764351. Keller Williams Realty Success. Don't wait! This one has it all! 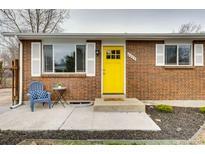 MLS#2076040. NORDSTROM REAL ESTATE LLC. This home is close to shopping, restaurants, minutes to Old-Towne Arvada, light-rail, and easy access to several main highways for any commute. Come see today! MLS#9062052. Berkshire Hathaway HomeServices Innovative RE. Too many updates to list!! Must See! ! MLS#6220605. Redfin Corporation. New lighting and paint throughout. New stainless steel appliances. MLS#9379604. Keller Williams Preferred Realty. Open house on 2/16 from 1-3pm MLS#6297131. THE RESOURCE GROUP LLC.